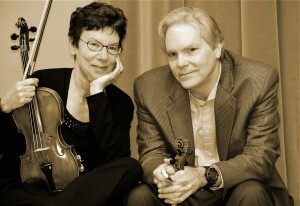 Rangeley seasonal residents and violinists Tim and Sarah Maček are joined by their friends in a program of chamber music. More information on the selections for the evening and the performers will be available shortly. Admission: ​$18 for adults, $10 for students 18 and under. Tickets may be purchased in advance with the convenience of your credit card HERE. Tickets will also be available at the door. 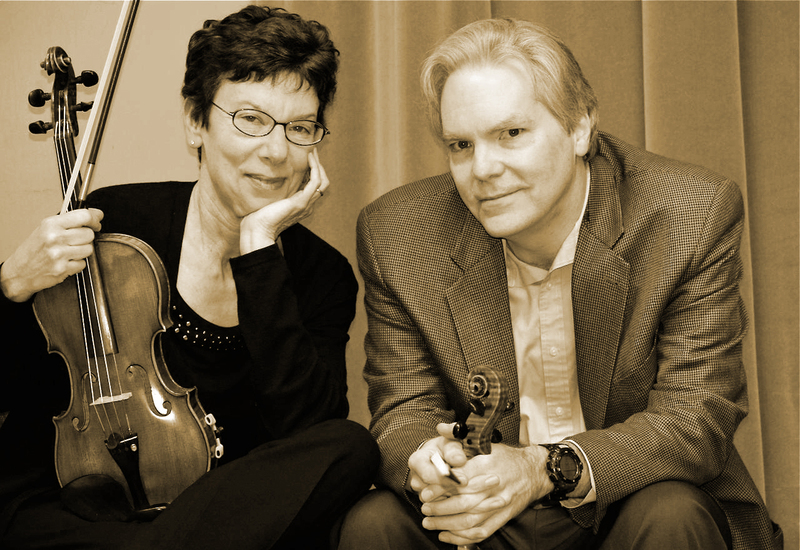 Tim and Sarah Macek are natives of the Washington, DC area and professional violinists, performing regularly and the Kennedy Center, Wolf Trap Park for the Performing Arts and many other DC area musical venues. About 10 years ago, their travels in Maine took them to the Rangeley region, and following what seems to be a common progression, they went from staying for a couple of nights, to renting a small cabin (on Loon Lake), to finally acquiring their own camp on Haley Pond. And, also following time honored custom, they went from the imagined fantasy life of summers spent boating and hiking to the real world of camp maintenance; painting, sawing and hammering, and daily trips to the Builder’s Supply. Still, their enthusiasm has been such that many of their curious friends have visited and enjoyed the area and it’s hospitality. Again this year they have the decided to combine their love of Rangeley with their love of chamber music (and their musician friends’ desire to have an excuse to visit again…). Thanks to the Rangeley Friends of the Arts, they are happy to present this concert. Tim Macek: As a member of the of the Kennedy Center/Washington National Opera Orchestra for over 25 years, Tim Macek has participated in numerous performances of opera, ballet, symphonic, and musical show literature, under such conductors as Heinz Fricke, Valery Gergiev, and Leonard Slatkin. He received his Bachelor of Music degree from West Virginia University, and his Master of Music degree from the Hartt School of Music. In the past, he been faculty at the University of Wisconsin–Eau Claire and was a member of the Hartford Symphony Orchestra. Currently a faculty member at Howard University, he is conductor of the Howard University Symphony Orchestra and instructor of violin and viola. Tim is the founder of the St. George Quartet and is a frequent performer of chamber music in the DC area. When not engaged in rehearsing or performing, Tim spends too much time trying to figure out ways to get up to Rangeley more during ski season. Sarah Macek: Sarah Macek performs regularly with the Kennedy Center/Washington National Opera Orchestra, the Wolf Trap Opera and the Filene Center Orchestras. During her career of 31 years, she has performed over 125 different operas and musical comedies. She received her Bachelor of Music Degree in Violin Performance from the Julliard School.